Although earthworms are found all over the world and range in size from the 1-inch type you might see in your yard to the 11-foot Gippsland giant of Australia, they have one thing in common: They are almost completely defenseless. Their enemies are many, from fishermen who use them as live bait to hungry birds to something as simple as a rainstorm. Because it has no defenses like teeth or claws, and because it moves slowly, the earthworm is a fairly easy target. What earthworms can do is burrow. They have small bristles, known as setae, which are both sensing devices that can identify any soil vibrations and digging aids. The setae stick to dirt and the worm then contracts its body to force itself through soil. The worm also secretes a mucus that helps it slide through dirt more quickly. In fact, to escape the cold of winter or an eager predator, the earthworm can burrow dozens of feet below the surface. Earthworms also are aware of when it's safest to come out of hiding: at night. The only other time you're likely to see earthworms is after a rain. This is not necessarily because of what you may have heard, that the worm is trying to avoid drowning. In fact, an earthworm gets its oxygen through its skin, and can survive several weeks if it is submerged. The more likely reason is that the rain keeps the worm from becoming too dry, as it normally would in sunshine, and allows it a chance to find a mate. The earthworm might also be coming to the surface to move more quickly to colonize new ground or to forage for food during weather when predators are less likely to be out. If attacked by a predator, a worm can twist about wildly in an effort to free itself, and it might be able to produce an odor that will turn off its attacker. These are last-minute defenses that probably won't work. But there is one other facet of the earthworm that is arguably a protective device: its ability to regenerate. 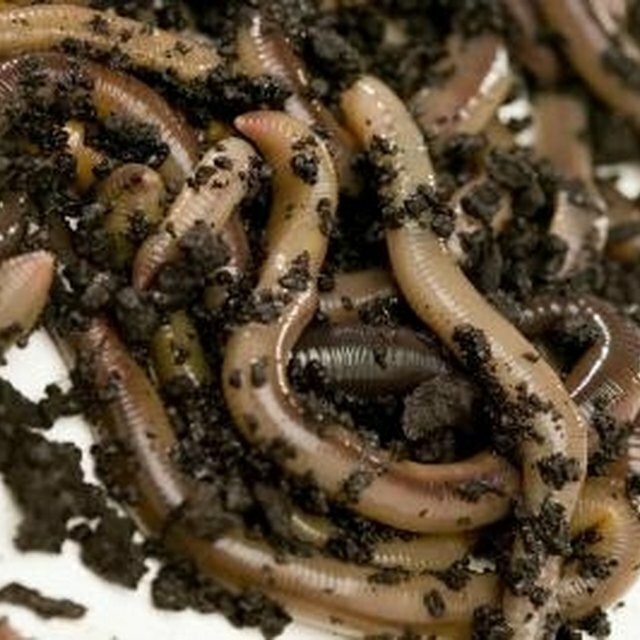 Although not all earthworms have this ability, most can grow back parts of themselves that have been severed. While it is not true that an earthworm cut in half will form two new worms, because most important internal organs are in only one half, the part with those organs can usually regenerate the missing piece. Candela, Shawn. "How Do Earthworms Protect Themselves?" Sciencing, https://sciencing.com/do-earthworms-protect-themselves-5166642.html. 24 April 2017.